Throughout my entire adult life, I have loved travelling. I was always nervous of having children, would I still be able to travel? Could I afford it? 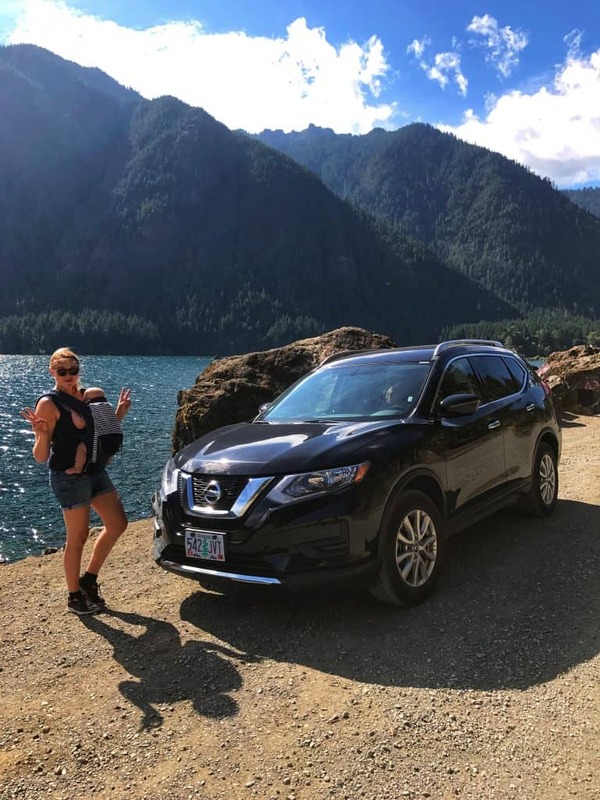 I have found a number of thrifty ways to make travel more affordable, from Flybuys Travel, to choosing the right credit card, in order to maximise on rewards, there are so many ways of doing it. 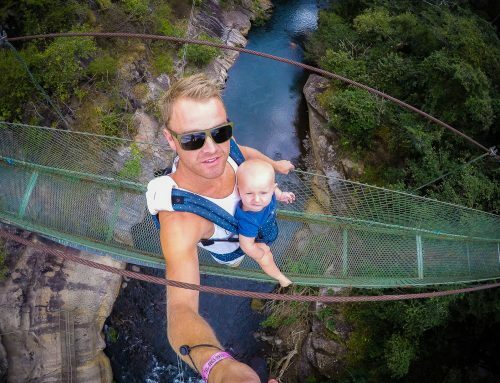 That’s the financial side, but what about everyone saying you are crazy for wanting to travel with a newborn? 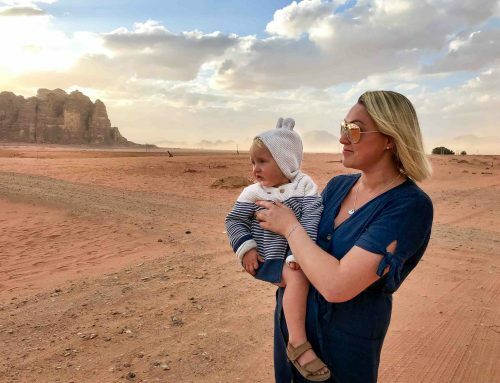 As new parents we were certainly met with a few raised eyebrows after we said we were going to use our maternity leave to travel around the world with our newborn baby, not once, but twice! 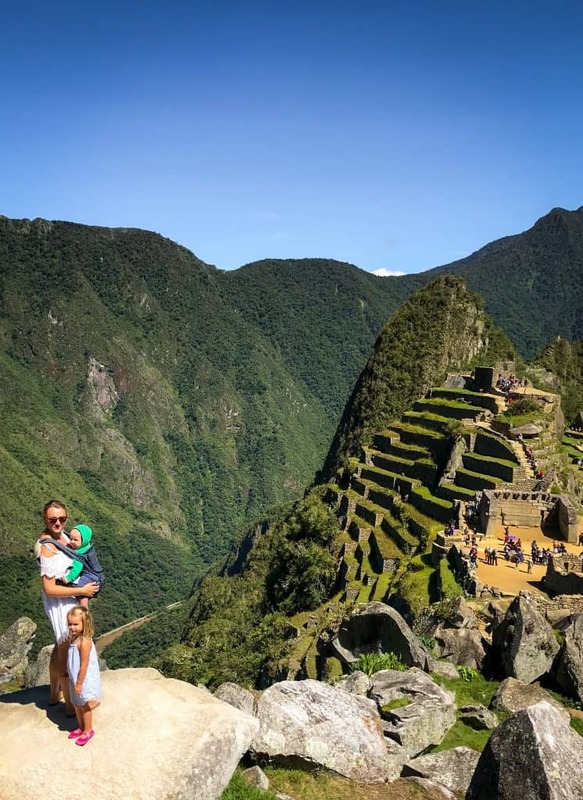 I am a firm believer that you do not have to give up on your travel lifestyle once having children. I for one, wanted my children to be a reflection of me. 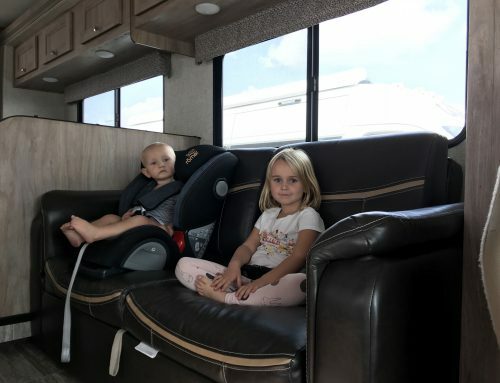 So both of them have travelled since they were newborn babies and will continue to do so until they no longer want to, or have grown up and are doing their own thing. We set off on a ten-month adventure with both children when they were between 7 and 9 weeks old. With my first baby the idea seemed daunting, I was so nervous, however when it came down to it, I was quite surprised at how easy it was. Having travelled right through the newborn stage, with my kids, I wanted to write down some of my tips and tricks. Of course, it’s very important to recover after having a baby and not stress yourself out if you are not feeling up to it. On a personal level, getting out and travelling was getting back to my old self, so it was important to me. I get so stir crazy at home. So it did wonders for my mental health to be out doing something stimulating. 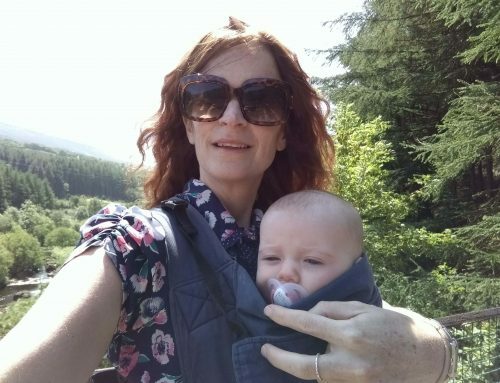 Here are my top tips for travelling with a newborn. Many people ask me if I booked my flight before I had baby. The truth is, I did because I wanted to secure the seats and I felt it would be motivation and a goal to get back to my old self. I added baby on after he was born with no issues. Of course it comes with a certain element of risk, not only for the fact his passport might not have been ready but what if I hadn’t recovered? My second baby was a c-section, something I hadn’t planned so the thought did cross my mind, what if I couldn’t go? Luckily my recovery was speedy so it wasn’t a problem. I gave myself 7 weeks to get a passport sorted for the little man and his first flight. This might be too quick of a turnaround for some mums so listen to your own body and feel comfortable with your decision. Our first flight was short haul and we did our long haul flight when he was 9 weeks old. It sounds worse than it is but luckily for most passports, newborns are exempt from the eyes open, mouth closed rule. Instead of bringing baby to a pharmacy or photo shop, I laid my little ones on a white blanket and used a passport app to take their photo on my phone. It’s so much easier and less time consuming. are allowed through security and almost every airport has refilling stations. Talking of breastfeeding, I found all of the countries I visited so welcoming and ok with it. No one blinked an eyelid. Of course in countries where modesty was a very important part of the culture, I always ensured I had a cover to feed on demand. 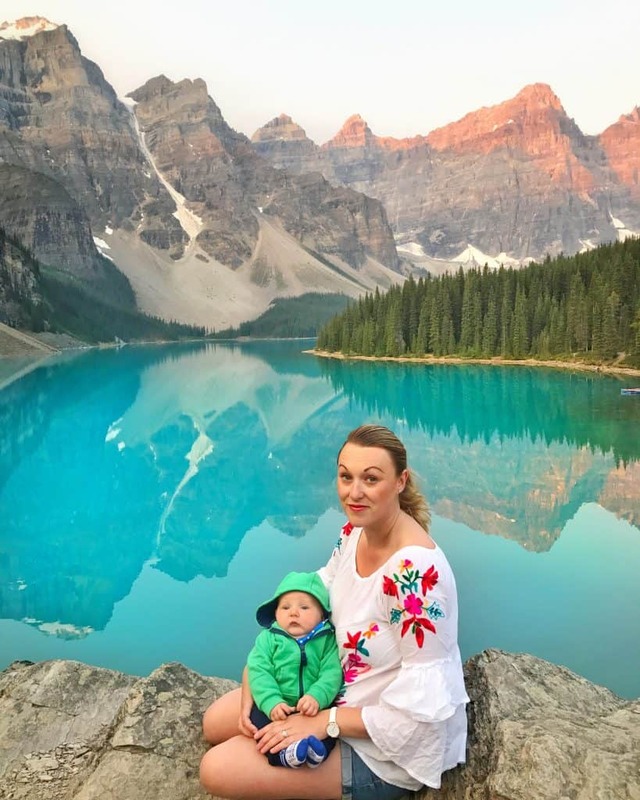 I have lots of tips on breastfeeding when travelling. On the other hand, although, I haven’t formula fed my children, I have an excellent guest post on formula and travelling. It is full of tips such as being able to pick up your trusted brand air side. For example, Boots in the airport!! The other good news is so many airports have baby rooms where parents can feed baby, change them and even heat milk. We’ve learned to do a lot of these things on the move, but it’s always nice when there are accessible amenities. , it can be any type of day bag, and all the better if I can put it on my back out of the way. that were warm but also folded up small. and a balm in case baby wasn’t feeling well. It’s kept at the bottom of the bag, as it was rarely needed. It was kept my nappy pouch at the top and clothes in the middle. All of these things are small and easily fit in a day bag especially when organised as mentioned. I also brought myself a spare outfit as it’s fairly standard with being a parent to end up covered in some sort of bodily fluid. throughout the day and have somewhere to put him down when we were indoors. If you feel you will be out a lot, where there are appropriately paved paths for strollers then maybe it’s worth it. We’ve travelled to places where there are pavements so it was pointless to bring a stroller. It really all depends on the trip. When it comes to the checked / hand luggage, I only bring enough outfits for the trip plus a couple of extra for baby. I tend to bring a small sachet of laundry powder and either use a local laundry or hand wash. There is no point in bringing bundles of extra things. Especially as it can be hard enough at the best of times having a little person to look after without having lots of bags as well. in my opinion. It’s helpful when feeding baby, when you need to rock them to sleep, or just need a cuddle. 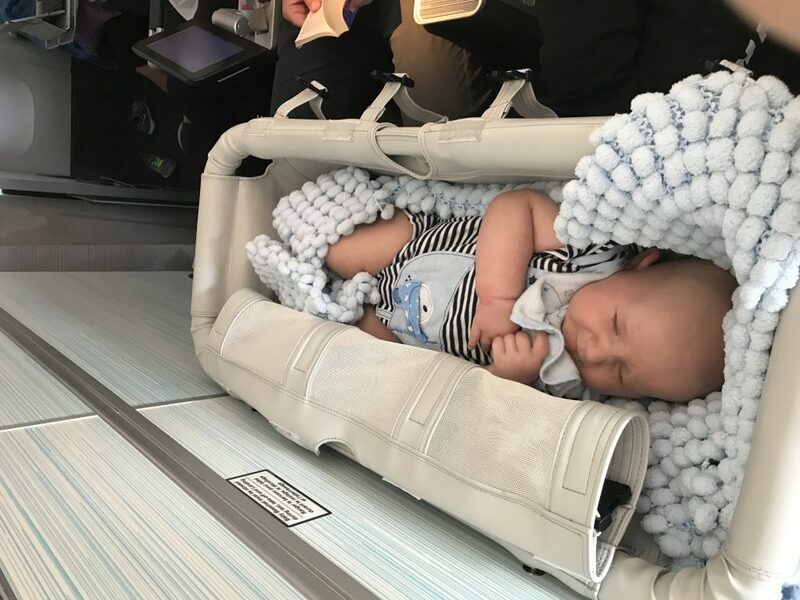 Every airline has a different rule when it comes to flying with a newborn baby. Most of the time baby can be booked at the same time as the parents. However there are a couple that expect parents to call with the details. I like to make the call regardless to ensure we have a seat with a bassinet. Most bassinets are suitable for newborn babies, unless they are extra tall or big babies. It’s worth putting the extra effort to make it happen as it’s quite nice to have somewhere to lie baby down on a long flight, especially during meal times. I for one was nervous about continuing to travel with little ones. Of course, the purse strings are a little tighter with a newborn in tow on a reduced maternity or paternity wage. However, I was adamant to try and find lots of ways to keep up travelling from a financial perspective. I have a credit card that helps gather airmiles and a flying companion voucher annually. So whilst my little newborn only costs about 10% of my flight price, every little helps right? In Australia, they have a fantastic loyalty program called Flybuys who in turn run an amazing travel programme called Flybuys Travel. Flybuys members can pick up points at a large variety of retail outlets. Everywhere from on their grocery shop, to their car insurance and can then redeem those points against flights and hotels. This is the kind of program that can make all the difference and continuing travel with little ones financially possible. It’s also important not to forget about additional costs such as travel insurance which is an absolute necessity in my opinion. Coles Travel Insurance, is free for those under 18 when booked in conjunction with their parents.
! Oh, how I love those bulky oversized pieces of equipment. They are such a pain to carry around. However with newborns, it is an amazing way to transfer from car just by lifting the seat out without waking them up. I go by the rule if I am going to be renting a car, I bring my own. If I’m travelling in places where I’m likely to be using tuk tuks or other forms of transport, I don’t bring my own car seats. It will very much depend on the type of trip. Check out my previous blog post: Should I take my car seat on holiday? I always get asked about travel vaccines for baby. Newborns cannot have travel specific vaccines and therefore rely on mums milk for immunity. Of course, it’s important to choose a destination based on current public health knowledge. So, for example, I personally avoid places where there may be yellow fever or malaria. On the whole, I make sure we have really good insect repellent measures. I try to keep baby cool and hydrated if we are in a hot destination. In my opinion, no where is off the cards if it is safe from a tropical health perspective. Newborns are they are so portable and easy at that age! Now that you are all sorted and organised, you can start getting excited about your trip. Getting out of the house, no chores or day to day errands means you can have undivided time with your baby. We really loved travelling with our babies at the newborn stage. It starts getting tricky, although still very manageable, when they are walking and running around. I hope you have the best time if you are planning something. Don’t forget, recover, don’t put pressure on yourself, have passports at the ready, pack light, save and be crafty with programs like Flybuys Travel, only bring your car seat if you need it and choose a suitable destination to make it amazing for your first time away. This post is brought to you in collaboration with Flybuys Travel. Hi, Karen! It’s really amazing that you continued to travel. 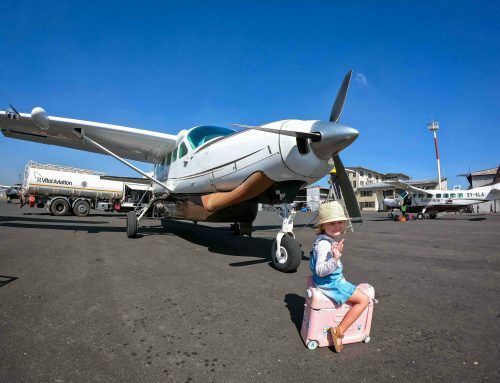 It would be really great if your kids also learn to love traveling as they grow older. Hi Karen, great to read about your experiences and thanks for the tips and reviews you always provide on products. Please can you do a post on the reusable nappies.. I’m keen on starting soon and it just seems too daunting. I definitely recommend it – it doesn’t have to be too scary especially when at home there are plenty of services that can take care of the dirty ones for you! Great post! Did you really used reusable nappies while traveling? We use them at home but always use disposable when traveling so I’m interested in your experience. Do you have a post on that?